What's better than pizza? Pizza with a side of video games! This kool little spot tucked near the backlot of Hollywood Studios is based on the Pizza Planet restaurant from Toy Story. It's loud, kids love it and it is a quick, efficient spot for lunch during a day of running around. The choices are limited and the pizza is far from an authentic New York City slice but you leave feeling full, satisfied and recharged. I like that there are limited choices on the menu which keeps the lines moving quickly. We ordered and were off the line in five minutes with time to spare to play a few games. 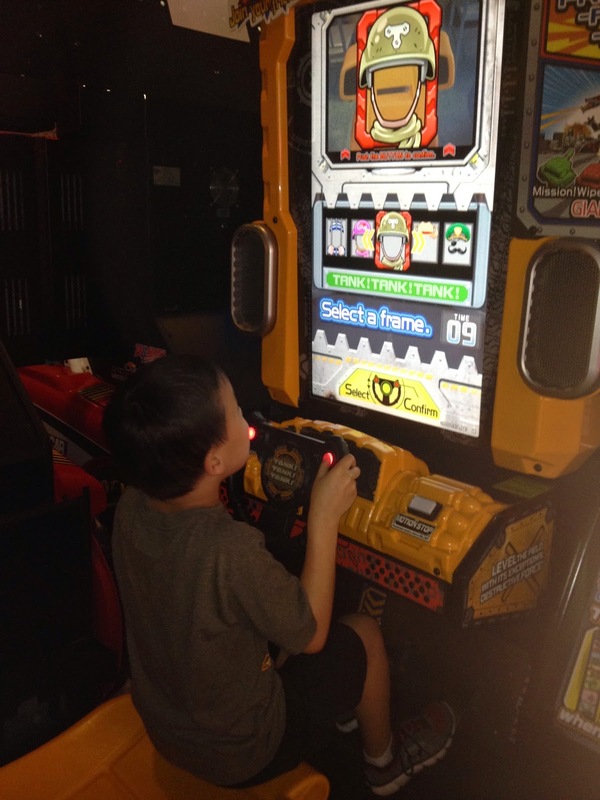 My son loved the arcade games and the aliens from Toy Story that are "flying around" everywhere. His only complaint was that there was no pepperoni pizza kids meal. He wound up stealing his dad's pizza! The children's pizza is much smaller so my husband got short changed. Luckily we were on the meal plan and a chocolate chip cookie or cappuccino cupcake came with each meal. 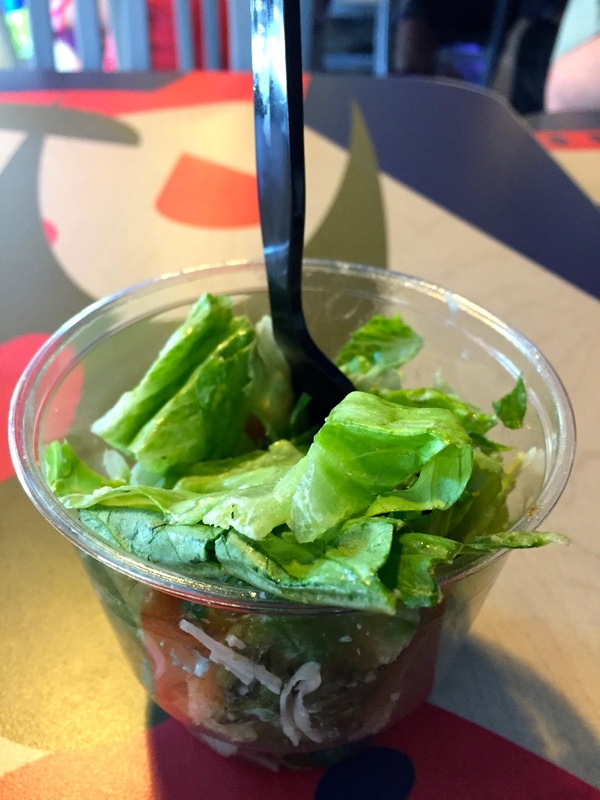 I had the meatball sub which included a cute side caesar salad in a cup. If you have a big group, this is an economical choice and one that will leave you feeling full. Lunch entrees range from $8.50- $10.75. If you do not have a big appetite you can share a meal and still leave feeling full. 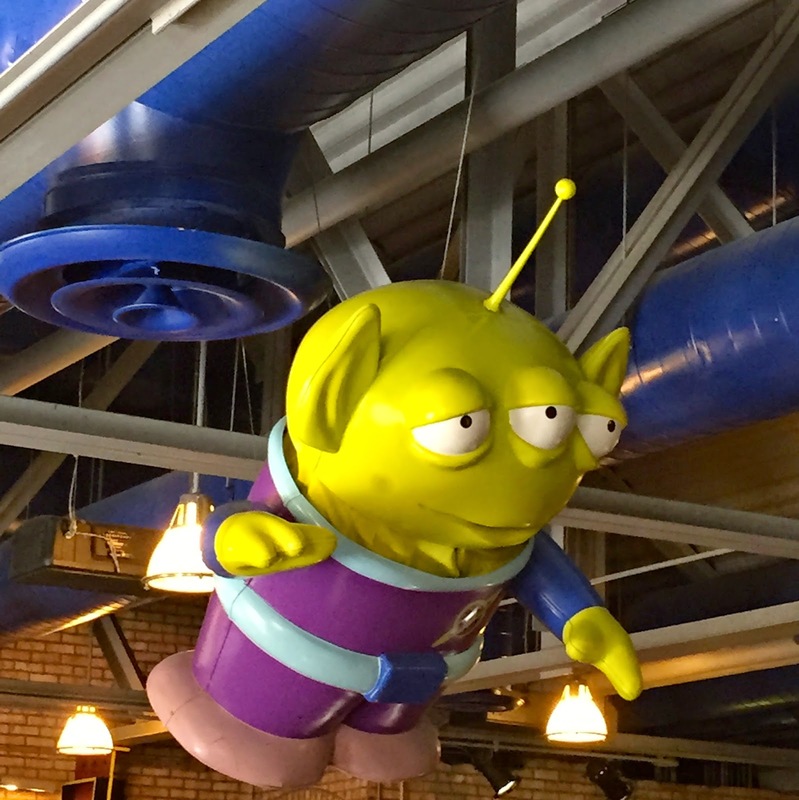 Next time you are in Hollywood Studios check out Pizza Planet Arcade and amaze your friends with this piece of trivia: A nod to Pizza Planet is seen in every Pixar film except? Hint: It was an "Incredible" film! Introducing D/Style from the Disney Store! First Timer's Disney Packing Plan!